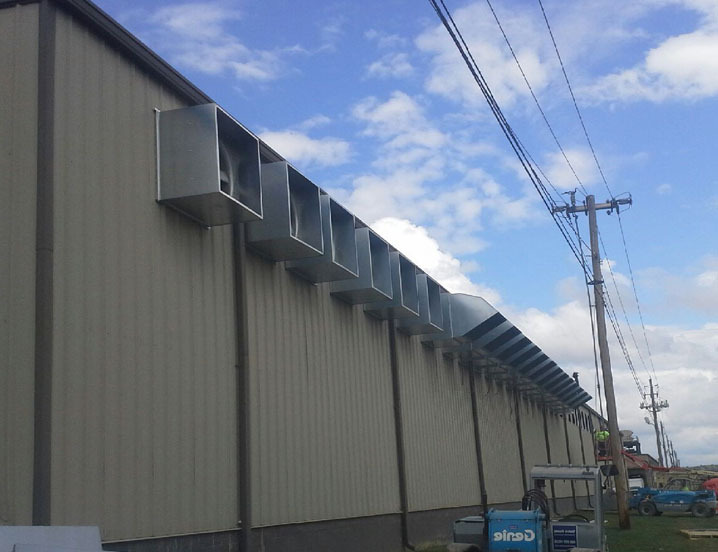 Sidewall exhaust and supply applications require panel fans to move large volumes of air at low static pressures. Panel fans are commonly used on the walls of warehouses and manufacturing facilities to supply outside air or to remove hot or noxious gases in exhaust configurations. Other typical applications include removing carbon dioxide from produce storage facilities, greenhouse ventilation and parking garages. Panel fans can be mounted directly to the wall panel, which is especially useful when ductwork is unnecessary. 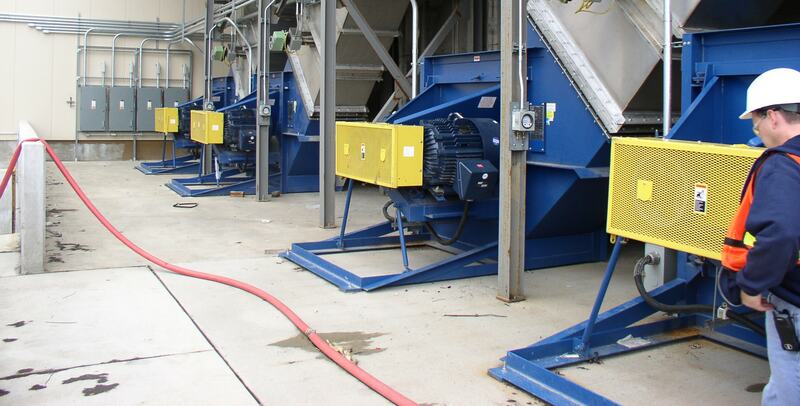 Each fan can be customized to the individual needs of the customer, including aluminum or stainless steel construction, explosion proof motors, gravity or motorized dampers, corrosion resistant coatings and fully reversible propellers.